BioWare Bringing Star Wars: The Old Republic to Mac Next? Regardless of platform preference, I believe there is one thing us nerds can agree upon: the concept of a massive Star Wars universe as delivered by the hands of the folks at BioWare is one we can get behind. At this moment, unfortunately for some, BioWare has only made its MMORPG Star Wars: The Old Republic available to PC gamers. The response has been largely positive, with most gamers praising the title for its emphasis on setting and story. The Mac crowd of users, however, have not had a chance to play the title. That makes sense, of course, given the nature of the Mac platform and the world of gaming. The two have never gotten along too well, and this is only further evidence of that fact. 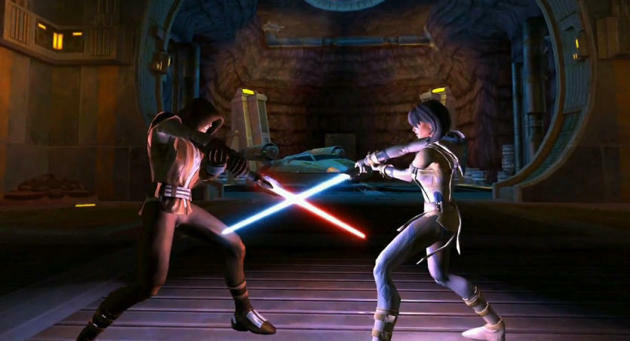 That does not mean, however, that BioWare isn't considering the notion of bringing SWTOR to Macs. "We know there's a big Mac audience of BioWare fans…we know that's an important and large audience. And we want to serve that audience…"
"That's definitely one of the things we're looking at next. We want to get this launch under our belt and everything stabilized and happy, and then we'll look at other platforms, and that's obviously one of the first ones." If I were to venture a terrible guess at when gamers might expect a Mac version of Star Wars: The Old Republic, I'd point towards at least the latter half of 2012. If you can't wait until, you could always dual-boot your computer or build a PC gaming rig … if you've got the scratch for it, that is.